Zamalek have decided to appoint the club’s former manager Khaled Galal as a general coach in Christian Gross’ staff following the recent results. Zamalek have released an official statement on its website revealing the appointment of Galal as the club’s coach with technical rights. The appointment of Galal as a general coach should add the element of experience to the current staff, according to Zamalek’s website. Galal has lastly managed Al Shoulla in the Saudi Professional League, before resigning last February amid reports linking him with a job in Zamalek’s managerial staff. 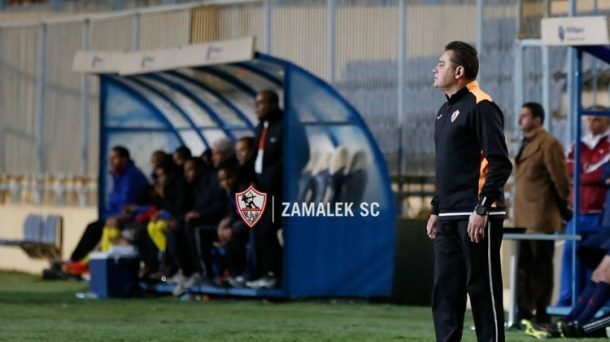 It is worth mentioning that the 51-year-old was appointed as Zamalek’s interim manager last year following the sack of Ehab Galal, managing to earn the club their first victory in a league Cairo Derby since 2007. Galal also led the Whites to the 2018 Egypt Cup title over Smouha, however, he left his job and was replaced by Swiss manager Christian Gross. Zamalek currently sit second in the Egyptian Premier League following their defeat to Al Masry last week and will face rivals Ismaily next Thursday.